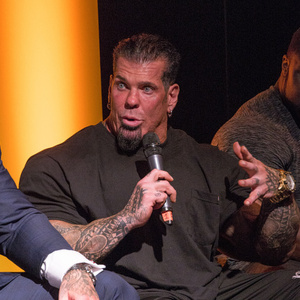 How much is Rich Piana Worth? Rich Piana net worth: Rich Piana was an American bodybuilder and businessman who had a net worth of $4 million. Rich Piana was born in Glendale, California in September 1970 and passed away in August 2017. He was Mr. California in 2003 and 2009. He owned a line of nutrition product called Rich Piana: 5% Nutrition. Piana admitted to using anabolic steroids as well as synthetic human growth hormone during his 25-year career in bodybuilding competition. He admitted that it was necessary to use steroids and it was a risk he was willing to take. Piana started weightlifting at just 11 years old and by 18 he had won several titles including Mr. Teen California. During his career he also won several competitions such as the 2009 Border States Classic Championships and the 2009 NPC Sacramento Pro. Rich Piana passed away on August 25, 2017 at 46 years old from a sudden cardiac arrest likely caused by using bodybuilding enhancement drugs.